Do You Have Twitter Etiquette? Because Twitter is so big now, there are a few things the average user may want to familiarize themselves with. Just like with any other social media tool, there are a couple common sense rules to abide by to make sure your “friends” don’t end up hating you. I came across a Guide To Twitter Etiquette & Efficient Use. If you’re using Twitter, give this a quick read. When I attended the BlogWorld Expo 2008 in Las Vegas a few weeks ago, I noticed quite a few bloggers were using a device to take photos of themselves. 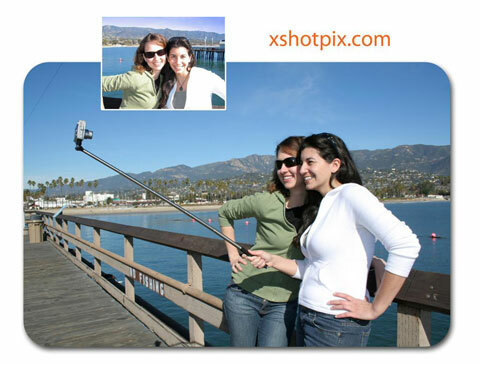 That device is called the XShot, and it’s basically a metal arm that you attach to your camera or video camera, which then extends up to 37 inches so you can photograph yourself. This neat little tool closes up to 9 inches — perfect for taking along with you to parties or conferences. I ordered one from the XShot website last week and just got it yesterday. Gone are the days of stretching out your arm only so far and not being able to include everybody into the picture. You can also pick this up at local electronics stores, as listed on their website. I give this an 8.5/10. The ML team is quickly becoming addicted to Twitter. Several of us have accounts we use for posting updates about the office, and more business- related tweets. We take TONS of pictures at shows, too, so I’ll have to pick up one of those photo arms. Maybe we’ll get a group shot at ASW 2009?